There is nothing worse than an extremely popular game introducing a specific mode which is limited to only a subset of users. That’s exactly what happened with the extremely enjoyable War mode started appearing in the Custom games menu of PUBG. Now, after trying that game mode out with a limited set of users, it’s become officially available to all. One of the great things about War mode, and certainly one thing that seemed to resonate with PUBG gamers, is that the mode seemed a lot more like a traditional battle royale experience. By that, what we mean is that the sole purpose of the mode was for teams to rack up as many points as possible by executing opponents. Total game-based carnage and definitely a mode which brings out the adrenaline in gamers and injects that competitive edge. With that said, a lot of the PUBG faithful felt left out due to the fact that War was only available to those gamers who were classified as premium, and, as such, were able to start custom games. 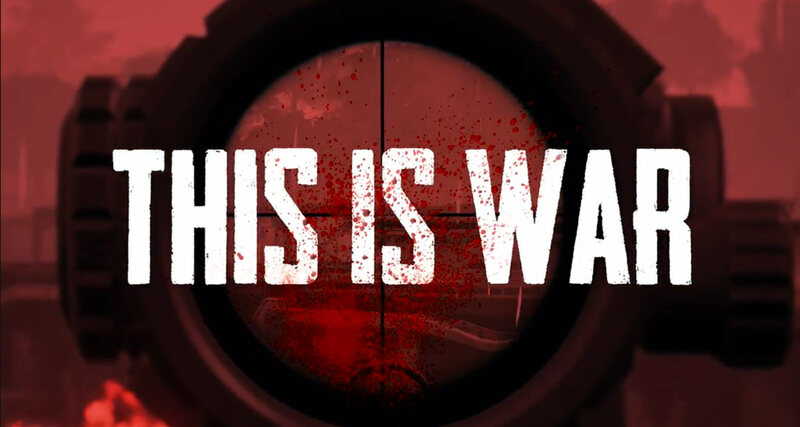 However, after testing, War mode is available to all now, which essentially means that all gamers can experience the intimate carnage that it brings. From a functionality perspective, War steps away from the 100 man free-for-all by splitting gamers up into three teams of ten individuals and dropping those teams into an extremely small close-knit section of the Erangel map. Each person on each team is kitted out with the same equipment in order to make the chaos immediate and fair, and each individual is able to come across more equipment as the game progresses. It may start fair, but looting better equipment from buildings means that it doesn’t necessarily need to end fairly. 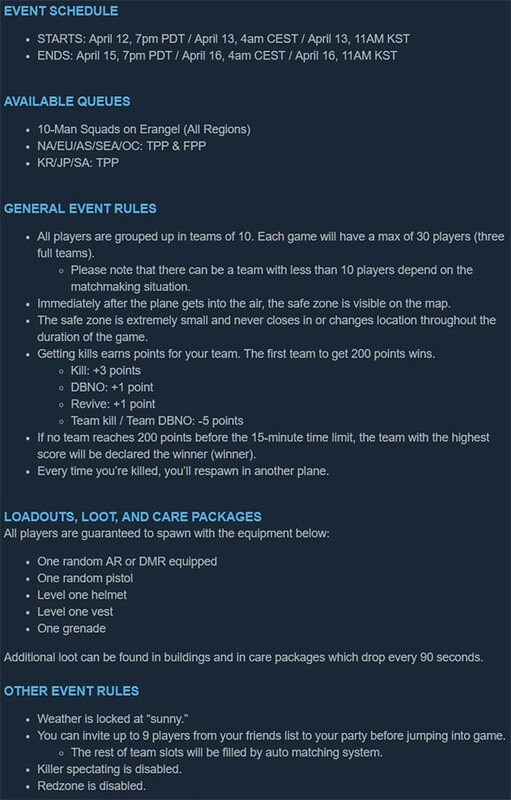 The points system for War mode is also relatively simple. Each team will get three points for each kill, a single point for a down-but-not-out situation, and a single point for each revives. Each War game will last for five minutes, and, if you actually die in this game then you will randomly respawn in a plane and be thrown pback into the chaos.